This advertisement for Healey Iron Works appeared in Lain's Brooklyn City Directory, 1879. Proprietors were James I. Healey and Jacob F. Healey. An earlier ad from the Real Estate Record and Builders' Guide, 1870, showed much the same information. Sources indicate that the brothers, James Ingalls Healey (1831-1910) and Jacob French Healey (1834-1915), were the sons of Samuel Healey (1797-1854), a blacksmith of Weymouth, Mass. They appear in the 1850 U. S. Census living in Weymouth with their father. At this time James Healey was 19 and, like his father, a blacksmith. Jacob Healey was 17, and his occupation was recorded as "farmer." In 1870 the brothers lived in Brooklyn, and both occupations were "Iron Founder." In the 1880 census Jacob F. Healey was 46 years old, and lived at 148 Hooper St., Brooklyn. He and his wife, Ellen, had a large family, consisting of 8 children, ages 21 to 5. 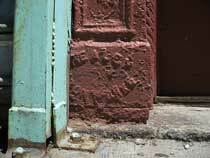 James Healey was 49 years old, and lived at 141 W. 15th St., Manhattan. He lived with his wife, Adele, and a step-daughter, Marguerite Hicks. In 1900 James Healey, age 69, retired, lived at 34 Gramercy Park, Manhattan. J. I. 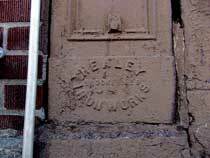 & J. F. Healey were included in the 1880 U. S. Census non-population schedules for manufacturers. They were recorded there as owning $40,000 of real capital and $80,000 of raw materials. They employed an average of 95 men at total annual wages of $60,400. Skilled workmen were paid $3.00 per day, and ordinary laborers $1.50. A day's work was ten hours. The business was in full time operation 12 months a year. Manufactured products and services in the year preceding 31 May 1880 were valued at $156,640. 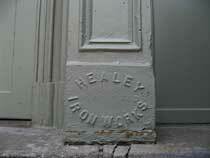 The Healey Iron Works were listed in Brooklyn city directories from 1870 to 1899. For most of this time the foundry was located on Driggs Ave. near 4th and 5th Sts. in the Williamsburg area of Brooklyn. Lain & Healy's directory gave the address 620 Driggs Ave. in 1897-1899. In his later life Jacob F. Healey was a vice president at the Dime Savings Bank of Williamsburg. On his death the following notice appeared in the New York Times, 10 August 1915, "Sons of the Revolution in the State of New York - Office of the Society, Fraunces Tavern, Corner Broad and Pearl Sts. - New York, Aug 9, 1915 - With regret announcement is made of the death Aug 8, 1915, of Jacob French Healey, a member of this society." James I. Healey secured several patents during his lifetime, including Improvement in hydrants and fire-plugs in 1873, Improvement in vault-lights, &c. in 1879, and Improvement in vehicle-wheel hubs, &c. in 1879. The full text of Patent No. 211,510 "Improvement in Vault-Lights" is transcribed at Glassian.org. 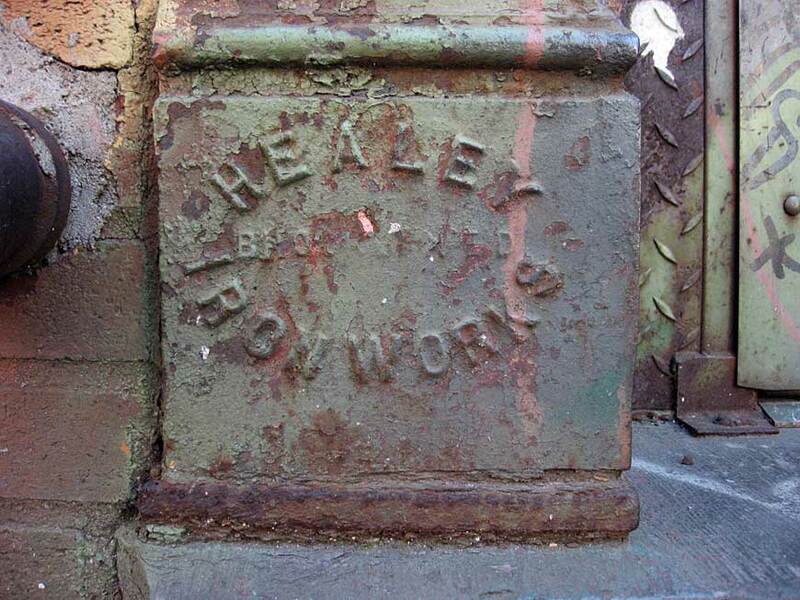 Healey also manufactured coal chute covers. An example is shown on their manholes page.